A scintillating biography for an election year . . . 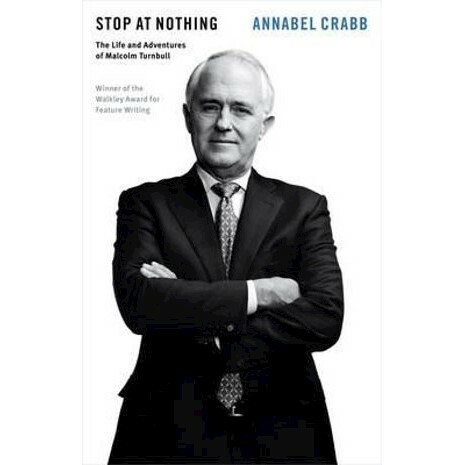 In Stop at Nothing Annabel Crabb recounts the Malcolm Turnbull story with characteristic wit and perceptiveness. Drawing on extensive interviews with Turnbull, Crabb delves into the young man's university exploits - which included co-authoring a musical with Bob Ellis - and his remarkable relationship with Kerry Packer, the man for whom he was at first a prized attack dog, and then a mortal enemy. She asks whether Turnbull - colourful, aggressive, humorous and ruthless - has changed sufficiently to entrench himself as prime minister. She tells how he first lost, and then won back, the Liberal leadership, and explores the challenges that now face him as the forward-looking leader of a conservative Coalition government. This is a memorable and highly amusing portrait by one of the country's most incisive writers. Annabel Crabb (born February 1973) is an Australian political journalist and commentator who is the ABC's chief online political writer. She has worked for Adelaide's The Advertiser, The Sydney Morning Herald, The Age, the Sunday Age and The Sun-Herald, and won a Walkley Award in 2009 for her Quarterly Essay, Stop at Nothing: The Life and Adventures of Malcolm Turnbull. In addition, she has authored two books covering events within the Australian Labor Party.